Wouldn't you like your children to be 'addicted to learning'? Challenging and Fun... Even for me! or to be a source of confidence for her. ShillerLearning has opened up a whole new way of learning for us. It is an amazing addition to our homeschooling life. Our son won't stop testing us on math! 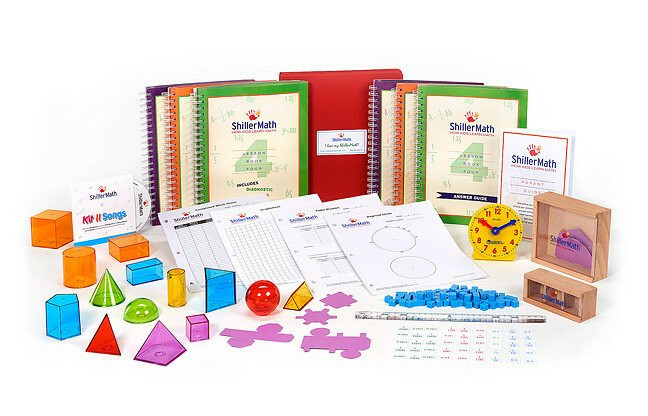 ShillerLearning is the premiere homeschool publisher of preK - 8th grade Montessori-based curriculum kits. 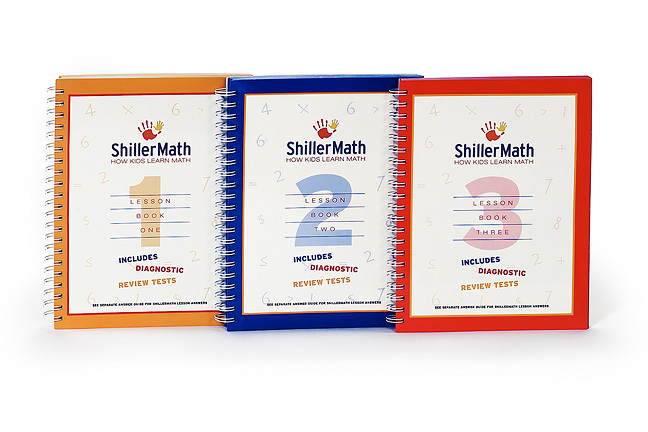 Designed for gifted students, ASD students, and all students in between, ShillerLearning's money-saving multi-year kits remove the stress of teaching math and language arts while protecting your pocketbook. Each learning style reaches a different part of the brain, buildng important connections and long memories. This is why ShillerLearning students attain deeper understanding, longer retention, and a solid foundation. Our songs are fully integrated into the curriculum. Children - and surprisingly, parents - love them. Take a listen! Whether your child is gifted, ASD or normal, is a current or former Montessori student, or not, is a pre-K student or in junior high, ShillerLearning meets that child wherever they are in their learning journey. 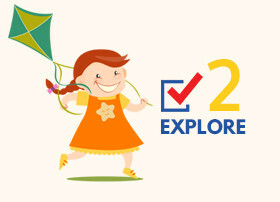 With our unique 2C approach, your child will master every lesson, achieving both Competency and Closure, and allowing each student to work at his or her own pace and using their specific abilities and knowledge to progress, without the anxiety and stress that so often accompany learning. That's why ShillerLearning works so effectively for all students. And why so many parents have found ShillerLearning to be the only curriculum they'll ever need for their family. Since we started out 15 years ago, homeschoolers everywhere have come to love ShillerLearning. 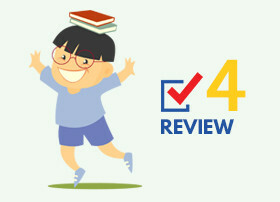 Dozens of independent reviews at top homeschooling blogs and magazines show why. Google us to see the amazing results kids parents have achieved with ShillerLearning. Or see selections from thousands of rave customer reviews. Do the exact lessons to fill those holes? That's what our industry-leading diagnostic testing does: The exact lessons to complete are shown for each incorrect answer. And that's why ShillerLearning students score so well on standardized testing that is becoming the norm in middle schools. They'll be far ahead of other kids because ShillerLearning has the concepts, tools, and approaches to make learning fun and rewarding. Comprehensive Diagnostic Tests are included with every kit purchase. High quality materials and workmanship are the hallmarks of ShillerLearning Montessori-based manipulatives. You and your child will appreciate the color, functionality, and sturdiness of each and every manipulative. Lesson books are beautifully printed in four colors, with sturdy covers and heavyweight pages, that lay flat for use anywhere. 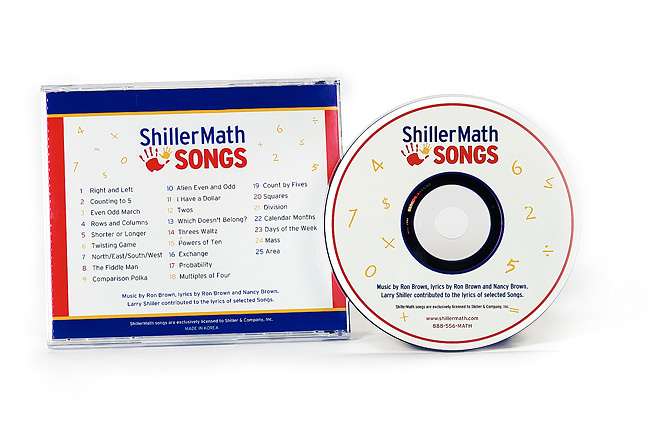 Kids love to sing and dance to the songs written for ShillerLearning by the renowned Ron Brown. Enjoy The Fiddle Man, one of over 100 ShillerLearning songs. 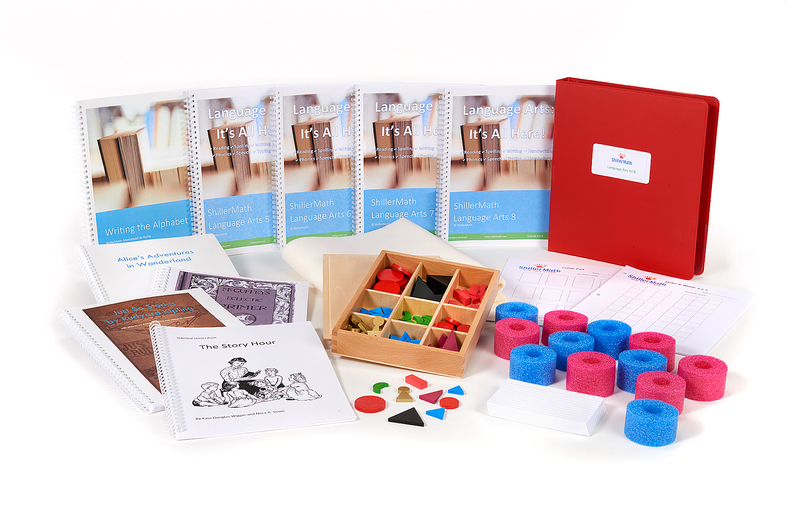 ShillerLearning provides everything you need for a long-living, comprehensive, and Montessori-based home study curriculum. We're with you every step of the way. When you purchase a ShillerLearning kit, you get free and timely access to the legendary ShillerLearning support team by phone or email for every question or issue, no matter how small. Our customer support is world famous: It's the same level of quality that you'd expect at a 5-star hotel. You're already busy. We make sure you don't get even busier. Imagine a math curriculum where you don't need to spend a minute preparing for a lesson. 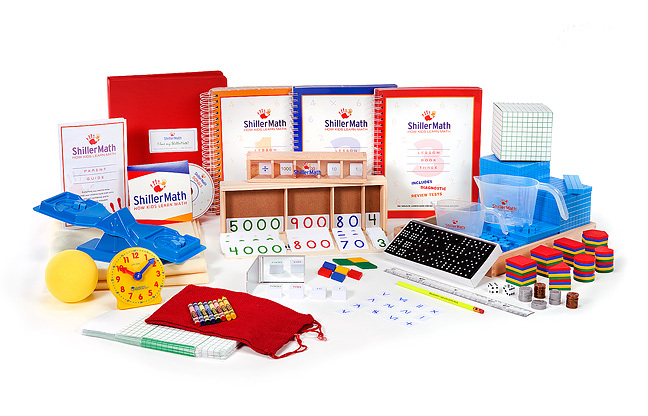 With ShillerLearning, parents don't need to know Montessori or math. There's ZERO lesson preparation time: everything you need to say is in quotes and complete instructions are provided for every lesson. Most other sets of curricula require time-wasting, mind-numbing videos or texts before teaching - and learning - can begin. Not ShillerLearning: It's Open & Go. 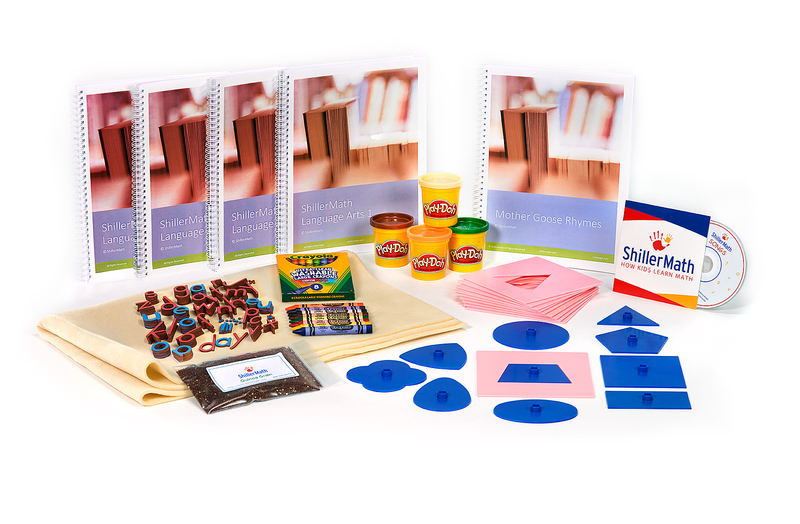 Every ShillerLearning kit includes all materials you and your child need to achieve learning success. And there's no more stressful, annual shopping from store to store for curriculum. With ShillerLearning, it's all there. Comprehensive diagnostic tests that identify and fill holes in your child's knowledge. 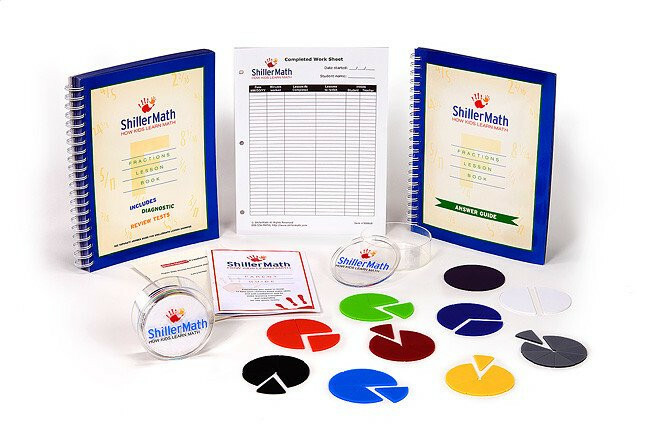 Once you invest in a ShillerLearning kit, it's good for all the children in your family. Our lifetime manipulatives stand the test of time, even for families with five or more children. Why waste money for a new curriculum for each child? 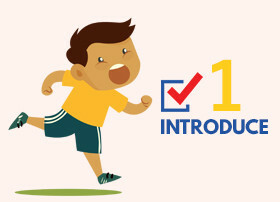 Whether you have one child or ten, every child has a personalized lesson plan because every ShillerLearning kit includes free lifetime replacement of consumable lessons. 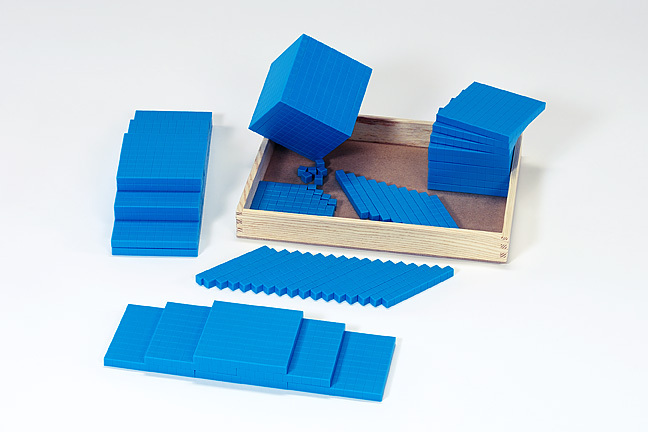 Already have Montessori manipulatives? Choose our download kit option and save. Get all the lesson books, answer guides, worksheets, manipulative printouts, and mp3 songs in a convenient download for a fraction of the cost. Children build a broad and deep math foundation with trusted Montessori-based manipulatives, lessons, and songs. And there's zero lesson preparation for parents. A homeschool parent's dream! Learn new concepts using Montessori's proven Three Period Lesson. Use all the senses (visual, auditory, kinesthetic, tactile) to deeply understand the concept. Apply new knowledge with puzzles, games, and multi-sensory activities. Prescriptive tests pinpoint holes and the lessons to fix them. 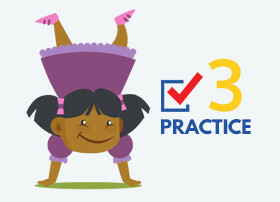 See a grade level boost in your child's math or language arts skills in 30 days - guaranteed! If your child is not transformed into a more confident student within 30 days, send back the kit and we'll return your money. "My kids are excited and constantly testing us math questions! It's helped them excel and comprehend other subjects, especially those containing practical logic"
Already Have Manipulatives? Go Download!